“Opportunities don’t happen. You create them,” says photographer Chris Grosser. That proactive attitude often separates highly successful people from those of us who are forever falling short of our dreams. They tend to be early risers. Early morning exercise is part of their routine. Setting aside quiet-time for focused or meditative thought is very common. Self-improvement by reading books, newspapers or magazines is typical. This usually takes the form of biographies, history, current events or self-help content (not entertainment). They think proactively about their goals and strategies for achieving them. Most people have pretty demanding jobs with hefty responsibilities. But few of us can say that the fate of the world depends on us. Imagine, then, the physical stamina and mental toughness you need to have in order to be a world leader like the president of the United States. The 44th president, Barack Obama, had a simple morning regimen that he used every day to prepare him for the rigors of his office. According to his aides, Obama liked to wake up two hours before he needed to. Starting the day at 5 a.m. allowed him to fit in 45-minutes of exercise that included equal amounts of a cardio workout and strength conditioning. Obama also famously skipped coffee in favor of orange juice, water or green tea. Although caffeine has many health benefits, he felt that consuming low-caffeine or non-caffeinated beverages helped keep him hydrated, which left him fresher throughout the day. Tim Ferriss is a best-selling author, podcast host and a student of the tools, habits and techniques highly successful people use to stay disciplined. Over the years, he’s interviewed hundreds of high-achievers about their morning routines. As you’d expect, he’s incorporated many of the lessons he’s picked up into own life too. Have a light breakfast. He’s particularly fond of organic black bean chili because it’s high in fiber and protein, but low in fat. He enjoys what he calls “Titanium Tea,” which is a mixture of several loose-leaf teas including black and green as well as the spices turmeric and ginger. To this blend, he also adds two tablespoons of high-quality organic coconut oil to boost his metabolism and improve fat burning. Ferriss spends ten minutes journal writing, which he finds cathartic because it helps him clear his thoughts and focus on what he’s grateful for. He gets in at least 20 minutes of exercise. Richard Branson is one of the world’s most iconic entrepreneurs. In addition to founding Virgin Atlantic, one of the UK’s leading airlines, Branson also is responsible for Virgin Galactic, a spaceflight company that aims to be one of the first private ventures to make commercial space travel a reality. You may have noticed that five factors keep popping up in the lives of the super successful. They’re not exactly a secret, but most people either fail to appreciate them or apply them. Here are the key ingredients that ultra-achievers employ. The morning is when most people will be at their freshest, most creative and energetic. There will also be fewer distractions while everyone else is sleeping. Use this portion of the day to be proactive and productive. Getting your blood pumping early will oxygenate your brain and help boost your cognitive powers, metabolism and energy resources throughout the day. Meditation, prayer and journal writing can help calm your mind so that you can respond more creatively and imaginatively to events later in the day. Fiber and nutrient-rich foods will provide a steady supply of energy throughout the day. Stay away from sugary and processed foods so that you can avoid blood-glucose spikes that cause feelings of mental and physical fatigue. Zero in on your larger agenda. Use the morning to identify your dreams and map out your most important goals. This should be your “big picture” time where you focus on whether the objectives reflect the core of your being. Hey Buddy!, I found this information for you: "5 Life Lessons From The Morning Routines Of Successful People". 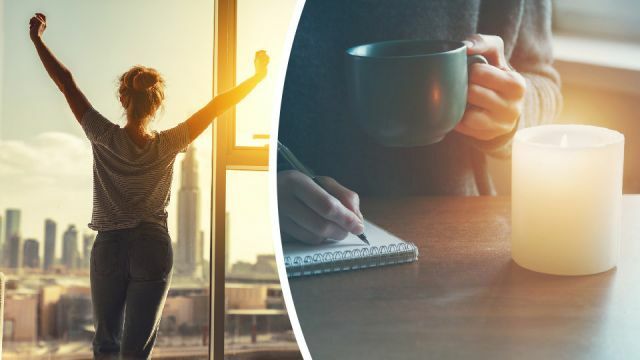 Here is the website link: https://www.thealternativedaily.com/5-life-lessons-from-the-morning-routines-of-successful-people/. Thank you.